My wife loves to watch Morning Joe and told me about a recent interview that the author James Patterson gave. 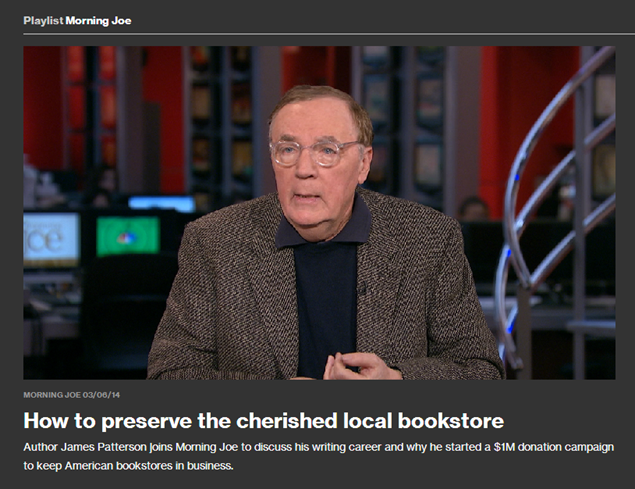 He’s donating $1 million dollars to help independent bookstores survive. I have no problem with how he spends his own money, but there was a lot of interesting observations in the interview about how competition in the book selling industry is changing business so quickly that independent bookstore owners can’t keep up and are struggling to survive. 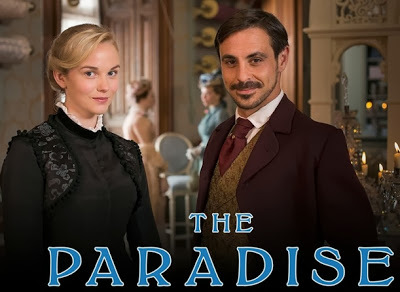 In addition to watching this interview, I also just finished the first season of the BBC series “The Paradise”, based on one of my favorite Virtus novels, The Ladies’ Paradise by Emile Zola. This is the story of how large department stores rose and then destroyed the boutique shops that specialized in specific clothing items. I would have preferred if the BBC had made it into a miniseries based on the actual book (and set it in France instead of England! ), but I digress. Watching the series led me to re-read Zola’s book which shows in quite detail how Amazon is disrupting modern business, just as the fictional Gustave Mouret’s department store did in 19th century Paris. I’m not going to start a debate on how Amazon has been doing exactly these things, just as many other companies did the same thing before them (Wal-Mart, for example). What it led me to ponder is what will the new world look like after this transformation is complete? We’ve all watched record stores vanish. We’re watching the same thing happening to bookstores because we don’t need to go to a bookstore to find a new book. I can find one in the palm of my hand, a bookstore of unlimited size in my Kindle. I’d never trust a bookstore clerk to recommend a new book to me. No way. But I have trusted the algorithms on Goodreads persuade me to try something new. So my idea for this blog post is to ask all of you what you think is going to happen in the future when the transformation is done? What does the new world look like following the bookstore apocalypse? Let me start this discussion with an idea of my own and then I’d love to hear yours. Amazon provides a large variety of books at the lowest cost. But there are still some unmet needs. Amazon doesn’t provide readers the opportunity of meeting authors in person. That is a totally different experience and one I remember growing up, visiting Terry Brooks during his book tours. Publishers are finding book tours a costly way of promoting books. So let’s turn it on its head. Would you pay a modest ticket fee in order to visit with some of your favorite authors if they came to your city? Right now, it’s the publishers who are paying authors to travel around on book tours which, quite frankly, don’t really contribute all that much to total sales. I’m not suggesting bookstores foot the bill. They are already struggling to make ends meet. Same with the publishers. So I predict that we’ll see more Kickstarter events where fans attract authors to their cities. A bookstore would be a great venue to hold such a meeting. If it’s a larger crowd, you might need to go to an auditorium or a bigger venue. Sell admission to attend, provide concessions to help pay for local staff (or staff with volunteers who get in for free), and if the author does a good job entertaining the crowd, they may be invited back again another year. It’s just a thought and it’s already happening with some authors I know. As the new business model has changed, fans and authors have new ways to communicate (like blogs and social media sites). But that’s nothing like getting to meet someone in person and asking questions face to face. I know that’s how I felt meeting Terry Brooks. So that’s one prediction of what might be waiting on the other side of the bookstore apocalypse. What do you think is going to happen next? Great question. The way I look at it is that the visible negative effects of this change are obvious, but what are the hidden benefits? Certainly things are changing for authors who are becoming less and less dependent on publishers. But perhaps for readers the change is even greater. I remember how difficult it was to track down an unusual book, say Burton’s Anatomy of Melancholy, which took me a couple of years to find in a used bookstore. Now I can download it and millions of other books instantly upon a whim. Many of us may never get around to reading the book that strikes our fancy in a particular moment, but some are able to be far more efficient in getting the information they want to make use of in whatever way they have in mind, and I wonder if that is where real change will take place. Will those who truly strive be able to accomplish more and more in every field in ways unimaginable, like Olympic athletes continually breaking world records?